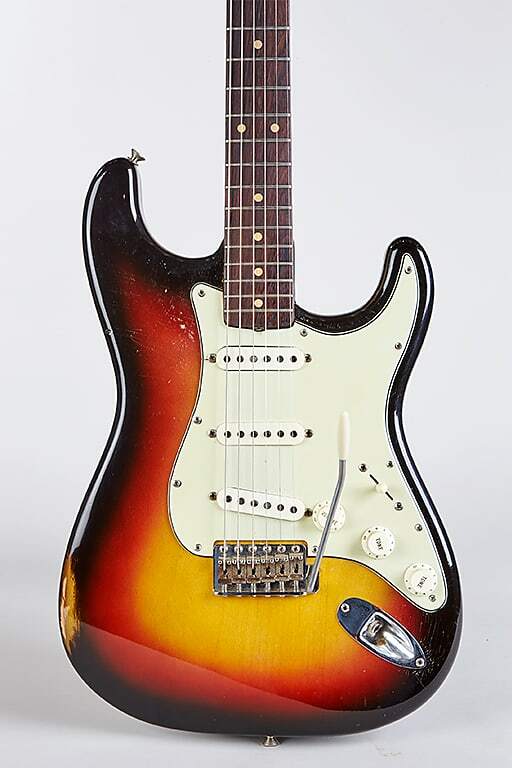 1963 Fender Stratocaster in original condition with Brazilian rosewood fretboard, original 3 tone sunburst finish, clay dots, Kluson tuners, green pick guard, spaghetti logo and three way switch. Frets are about 80% remaining. This piece shows some playwear, particularly on the back. Plays amazingly clean and crisp. Comes with original hard case, hang tag/manual with matching serial number, allen key and tremolo. Payment is made by direct deposit to the company Hutchens & Associates Pty Ltd. Shipping is additional to the price of the guitar. 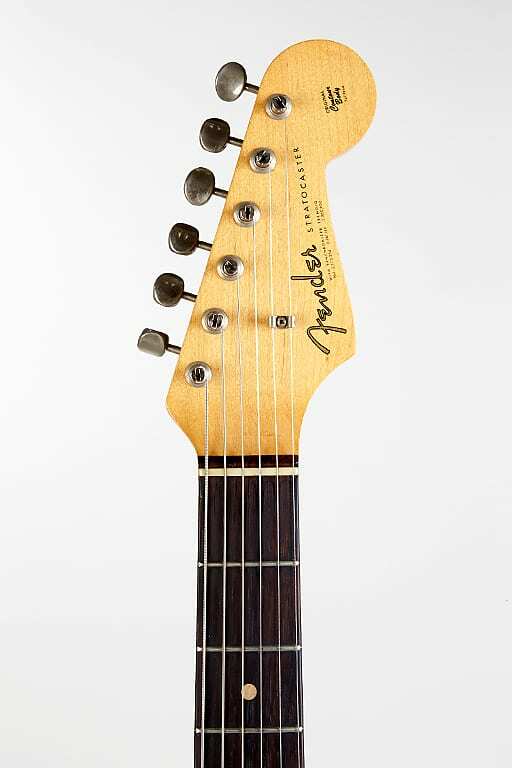 The guitars and basses are under no financial constraints with other parties and are owned in full by Hutchens & Associates Pty Ltd.
Once agreement to purchase a guitar is reached, an invoice for the amount owing will be issued, and once payment is received, the guitar will be professionally packed and shipped using your preferred carrier and insurance conditions. We recommend that shipping insurance is organised in case of theft or damage. 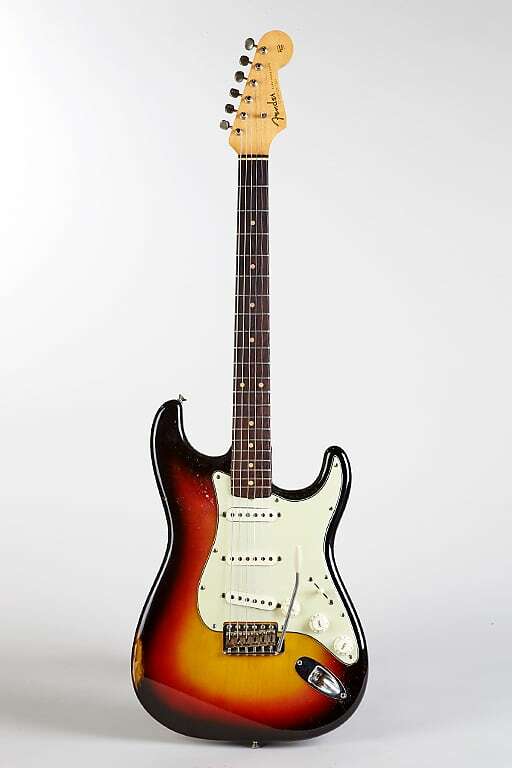 A 48 Hour acceptance period after the guitar is delivered will be available. 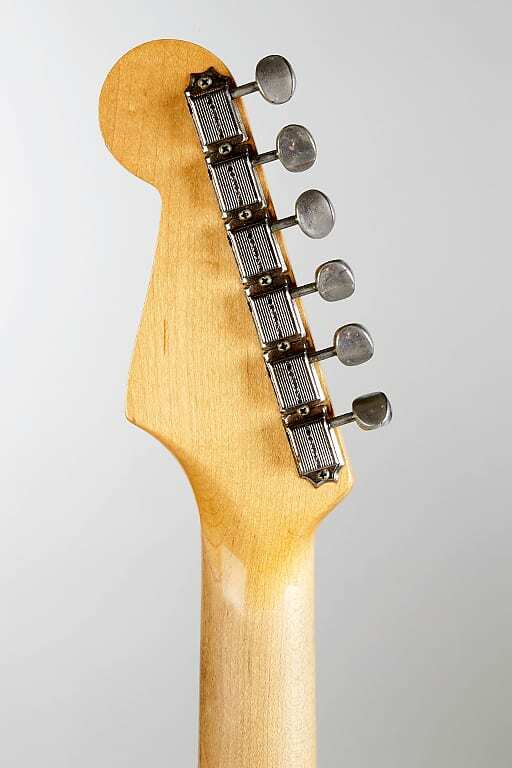 We will contact you after the guitar or bass is delivered to make certain that you are completely happy with your purchase. 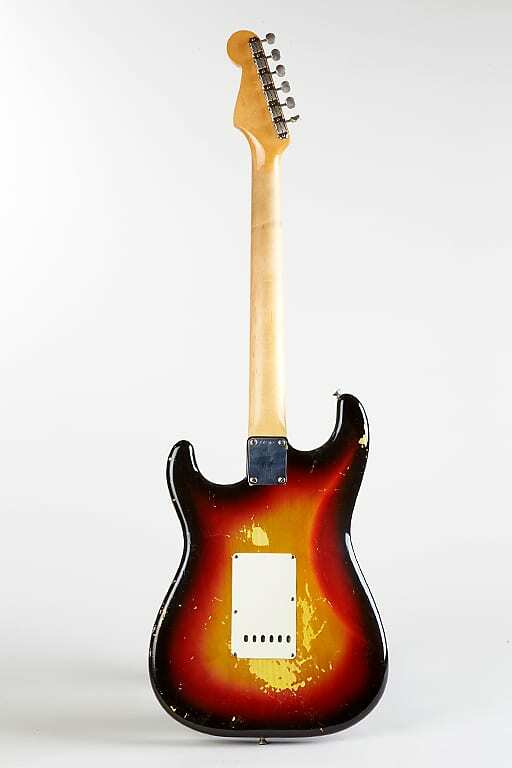 If the guitar or bass is returned in exactly the same condition as it left, then a 100% refund is available on the guitar or bass during the first 48 hours. The purchaser pays both the initial shipping and return shipping cost during the refund. Photography of the internal components of each instrument is made at varying stages and will be provided to the purchaser after the sale has been finalised.